fee includes all conference materials, keynote address, hot-plated meal w/choice of entree, and all expo hall activities. COMPLIMENTARY registration includes all conference materials, keynote address, hot-plated lunch w/choice of entree, and all expo hall activities. If staying for Keynote Luncheon and Full Conference, pay online or click "offline" registration and mail in a check. 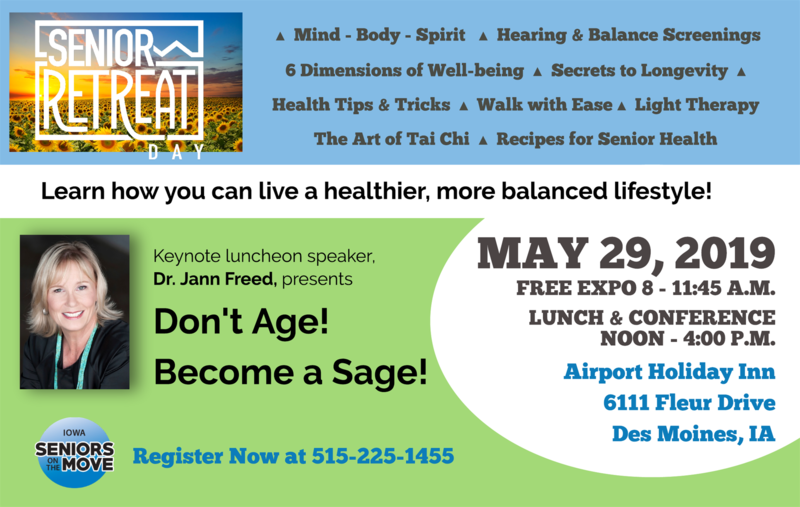 Registration Fees include all conference materials, keynote address, hot plated meal w/choice of entree, health, hearing and balance screenings, as well as all Expo Hall activities.